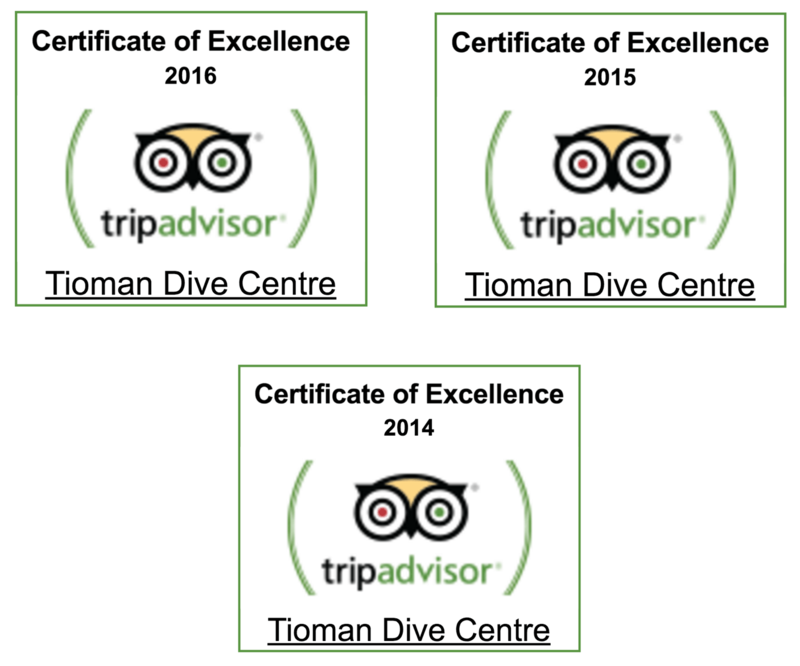 Unfortunately, Tioman Dive Centre are not able to arrange your transport to Tioman Island, however we have gathered some information below, which should help you to make these bookings more easily. Tioman Island is located around 32km off the East Coast of Peninsular Malaysia, on the border between the Johor and Pahang states of Malaysia. Important Note: If you are travelling to Tioman by ferry, it is important to know that the ferry timetable with BlueWater Ferries from Mersing, changes daily, due to the tides. The ferry timetable for a particular month is only released around the 15th of the previous month, so it is therefore difficult to plan too far in advance. Therefore, we would recommend you look into travelling from TANJUNG GEMOK Ferry Terminal, which is a 40-minute drive north from Mersing. Please Note: The Ferry Company and Bus companies are separate, and so the timetables are independent. The ferry timetable from Mersing changes every day, due to the tides in Mersing, so you will find that the bus and ferry times often do not coincide. There are cafes, restaurants and hotels in Mersing if you need to spend any time there. 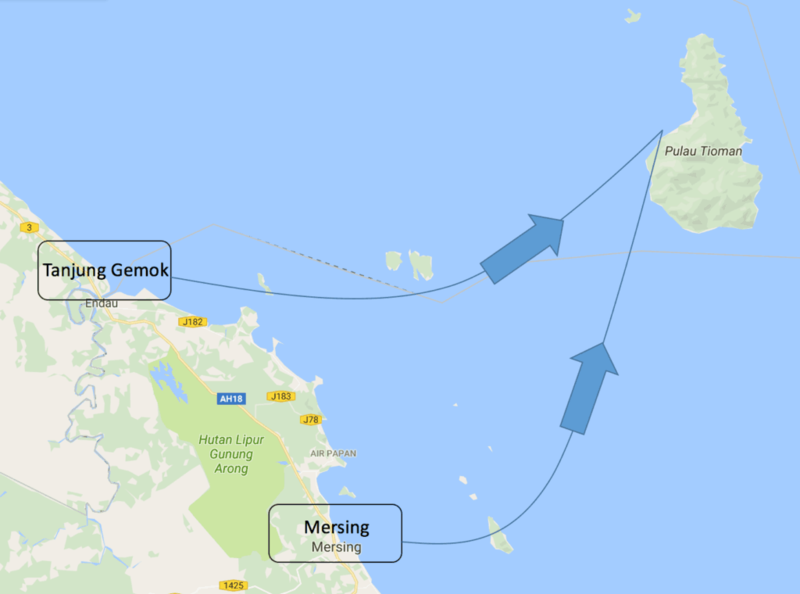 There is only 1 ferry company running from Mersing – Tioman. This is BlueWater Ferries. Buses run from various locations in Singapore to Mersing daily. The journey generally takes around 4 – 5 hours, depending on the time of day and if the immigration check point between Singapore and Malaysia is busy. If you are short on time, you can also take a taxi directly from any location in Singapore to Mersing Ferry Terminal. The price is usually around SING$180 and if you are interested in this, just let us know and we can help you get in contact with a taxi driver if needed. Buses run less frequently to Tanjung Gemok, as it is a less popular destination (though it is becoming more popular due to the better ferry service). The journey takes 5 – 6 hours, again, depending on the time of day and if the immigration check point between Singapore and Malaysia is busy. If you are able to reach Mersing by bus, you can then easily find a taxi driver in Mersing to take you to Tanjung Gemok. This journey takes around 40 minutes and the cost in a taxi will be RM60 – RM70. If you are short on time, you can also take a taxi directly from any location in Singapore to Tanjung Gemok Ferry Terminal. The price is usually around SING$210 and if you are interested in this, just let us know and we can help you contact a taxi driver to help. Buses run from a few locations in Kuala Lumpur to Mersing daily. The journey generally takes around 6 hours, depending on the time of day. The easiest bus departure terminal is TBS (Terminal Bersepadu Selatan located at Bandar Tasik Selatan). There is a high speed train (The KLIA Ekspres) which links KL Sentral station and Kuala Lumpur International Airports, via ‘TBS’. Taxis are rather expensive from Kuala Lumpur to Mersing, however it is possible for around RM600 – RM700. Ask us for contact details if you would like to book your taxi. 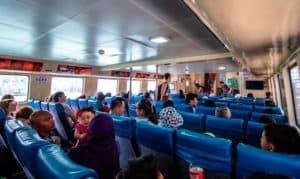 It is becoming more popular to travel from Kuala Lumpur to Tanjung Gemok, due to the better ferry services. There is a hotel in Tanjung Gemok run by the company CataFerry which is close to the ferry terminal. There are also some restaurants close by if you need to wait a couple of hours for your ferry. Taxis are rather expensive from Kuala Lumpur to Tanjung Gemok, however it is possible for around RM600 – RM700. Ask us for contact details if you would like to book your taxi. Blue Water Ferries are the main ferry company operating from Mersing to Tioman. They do not depart on a regular basis, and the timetable is based on the tide charts, so change everyday. The journey takes around 2 hours based on the sea conditions. The ferry timetable for a particular month, is usually released around the 15th of the previous month, and we will try to publish this here, below or on our TDC FACEBOOK page as soon as it is released. Please Note – You can buy your tickets for a particular day, well in advance, and when the ferry timetable is released, your agent will send you the ferry times to choose from, so it is good to be flexible. Tickets can be bought on the day, however if you are visiting over a busy weekend, or over holiday times, we would highly advise you to book your tickets well in advance, through an agent. Before collecting your boarding pass, you will be asked to pay the RM40 Marine Park Conservation fee. This is a one off payment per person, valid for the duration of your trip to Tioman. Occasionally, other ferry services start up from Mersing, so stay open to options! RM45 per person, per way. Tanjung Gemok is around a 40-minute drive north from Mersing. It is slightly more tricky to reach, but is a great option, as the ferry times here are not based on the tides. CataFerry is our first recommendation for anyone travelling to Tioman. It is the newest company and although sometimes a little more expensive, is very reliable and efficient. The ferry timetable for BlueWater is only released around the 15th of the previous month, and you can call BlueWater directly to find out ferry times and put your name down on a list. PLEASE NOTE; THIS ROUTE IS NOT CURRENTLY AVAILABLE, HOWEVER IT IS STILL POSSIBLE TO PRIVATE CHARTER THROUGH THIS COMPANY. You can fly directly into Tekek Village, Tioman Island, from Subang Airport, Kuala Lumpur only. 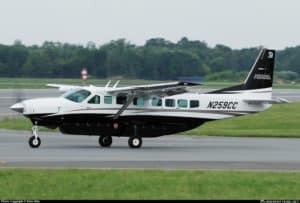 The flight takes around 1.5 hours and is in a small propellor plane with between 8 – 12 people maximum. The company operating this route is called ‘Systematic Aviation Services’ and you can contact them through their website at www.sassb.com.my . Subang Airport is closer to the city centre than the main KLIA airport and you can reach Subang Airport easily by TAXI from anywhere in Kuala Lumpur. Just make sure that the driver knows you are going to SUBANG AIRPORT, so he doesn’t take you to KLIA. Flying to Tioman is not a budget option, however in order to save time, and if you are not on a tight budget, then this is a great way to get to the island and get in the water quickly! 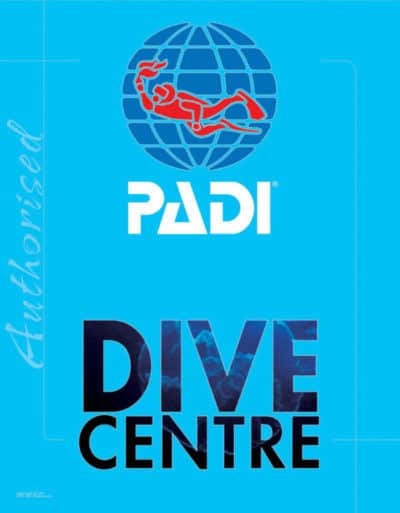 It is no problem to dive, directly after flying into the island, however you must leave 12 or 18 hours no fly time before you fly, after diving.